Do you need to scan barcode data into your Smartphone or Tablet quickly and easily? Then check out the Unitech MS910 mini wireless Bluetooth barcode scanner. Unitech launched its ultra compact or mini barcode reader the MS910, which is being recognized as the smallest and most elegant design in its class. The MS910 is an “out of the box” data collection solution as well as a stylish accessory. It provides the convenience of wireless technology with the simplicity of a single-button scanning design which makes barcode data collection simple, reliable and efficient for all users. Furthermore, the MS910 features Unitech’s high speed decoder paired with an aggressive scan engine, which provides outstanding scanning performance up to 240 scans per second. 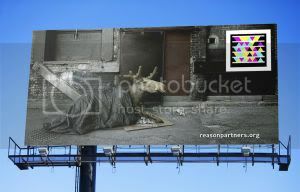 Toronto-based Reasonpartners.org has integrated photo-enabled barcode technology into its wildlife protection OOH campaign. The eye-catching billboards featuring wild animals marooned in city settings were launched two weeks ago around Toronto. One of the billboards in the campaign features Microsoft’s Tag High Capacity Colour Barcode (HCCB) technology, which gives smartphone users direct access to the organization’s website by snapping a picture of the barcode on the billboard, which is located at Eglinton Avenue and Markham Road in Toronto. Reasonpartners.org is a philanthropic enterprise of Toronto agency Holmes & Lee that helps nonprofits raise money in a cost-effective manner, so more funds go directly to the causes. The general website links users to six different charities and non-profits pertaining to wildlife, giving a platform for concerned individuals to start informing themselves on the issue. “We aggregate for different charities that happen to operate in the same space, in this case it is wildlife protection,” Peter Holmes, president of Holmes & Lee, tells MiC.